The Alliance unites organisations, businesses and individuals sharing a common concern and motivation to act on the threat of Genetic Manipulation (GM) in Australia. We rely on donations for our work. 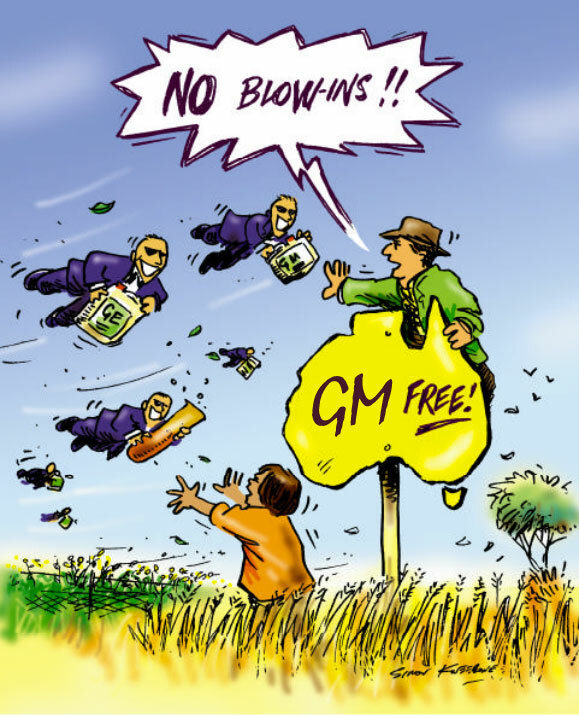 Our steering group meets regularly and has representatives from state-based GM-free groups, national organizations and supporting organizations. Dr Vandana Shiva, inspirational scientist, eco-feminist, and author, awarded Sydney Peace Prize, speaks in Sydney on behalf of GM-Free Australia Alliance. Participation in and contributions to coordinated national campaigns. Access to experts, experienced campaigners and communicators. Website links to your group & a portal for events of mutual interest. Regular newsletters & updates on all aspects of GM-free. Annual conference, skills building, outreach & education.